A rather high Darebin Creek in Alphington, east of Melbourne, on a sunny Sunday morning. 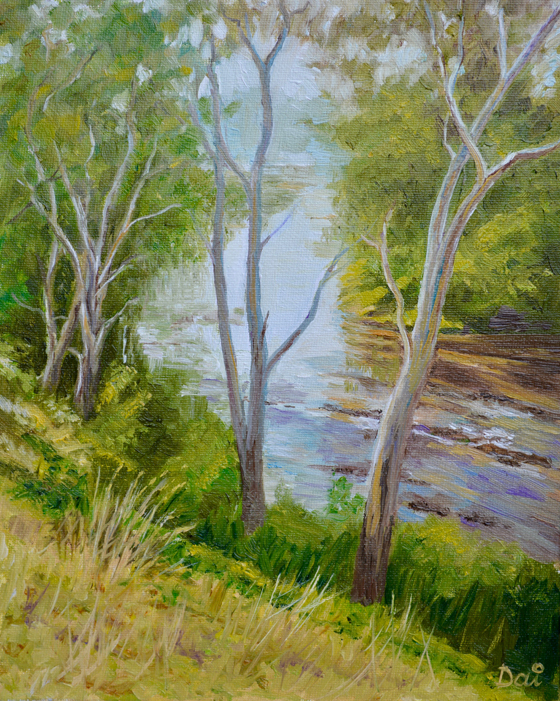 This view from the bike path was painted by Dai Wynn in oils on canvas panel. 25.4 cm high by 20.3 cm wide by 0.3 cm deep approximately. (10 inches by 8 inches).